My motto: Never pass up a wine tasting opportunity. I stick to this motto wholeheartedly. 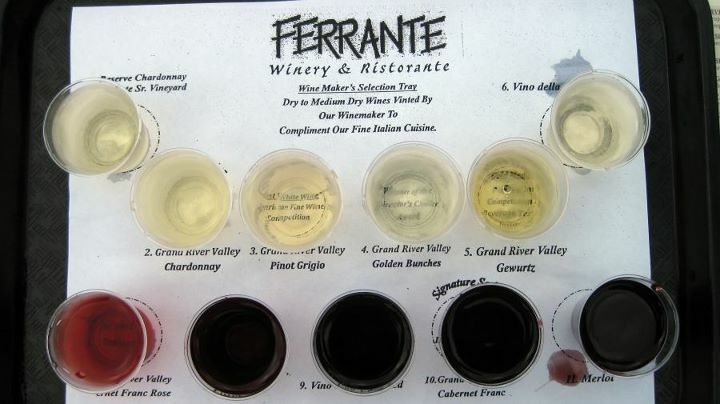 So of course when my parents suggested a wine tasting at Ferrante during my last visit to Ohio, I could not refuse. I recently got back and I miss my family already. Sad face. But I have lots of great memories. 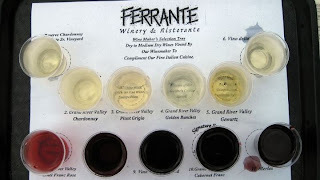 Specifically, the memory of drinking all of these wine samples in the course of 20 minutes and barely being able to walk. Yeah, that was fun! Can I get a "Whooohoo!"? The temps here have been HOT. Like 95 degrees HOT so no baking the past couple days. But...there is a cool-down this weekend and I have plans to bake now that the weather will be cooler. Can I get another "Whooohoo!"? Anyone? Whooohoooo! I think it's supposed to cool down here, too. This summer was too hot for me. Natalie, it's so chilly here! It seems like summer abruptly ended. I'm having a hard time accepting this! You need to come out here to Sonoma/Napa County if you like wine tasting. There are billion wineries to choose from.